Maroon 5’s Adam Levine might be one of the country’s most famous rock stars, but in our opinion, he’s not the star of the band’s new music video for “Girls Like You,” which debuted Wednesday. It’s the slew of female celebrities who join him on stage, as well as rapper Cardi B., who takes over for a solo guest verse towards the end, that steal the show. Joining the lineup of powerhouse women like Gal Gadot, Jennifer Lopez, Ellen DeGeneres, Mary J. Blige, and Millie Bobby Brown is our very own Aly Raisman, wearing a shirt that reads, “Always Speak Your Truth.” The Needham native even holds hands with Levine…swoon. How can you not be all smiles when you’re asked to be a part of @maroon5 music video?? @adamlevine lucky to call you a friend. Thank you so much for making that day so fun. I wish we could do it all over again! Girls like you music video featuring @iamcardib is out nooooow! Can’t believe I am a part of this! Raisman isn’t the only famous Mass. native in the video—Pittsfield’s Elizabeth Banks (The Hunger Games, Pitch Perfect) also pops up. 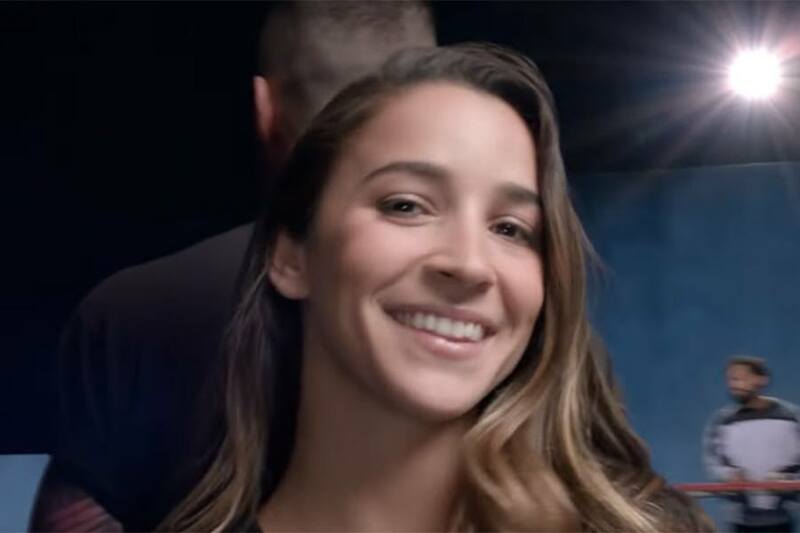 And Raisman wasn’t the only athlete either—Olympians Chloe Kim and Alex Morgan are in the video, along with race car driver Danica Patrick. We’ll have to go back and watch again to see if we can catch all these famous faces—we definitely didn’t the first time.